How to create a beautiful micro-garden as a living centerpiece. Many of us have limited space in which to grow plants. And that limited space may make you think that you can’t have a garden…like…at all. Even if you have zero outdoor space or even if have space but it is currently blanketed in snow, you can still have a garden right now! You just need to create your garden indoors…on a micro-scale. I’m talking about a tiny tabletop naturescape that mimics the lush greenery you might find in a tropical oasis. A tabletop landscape like this is not only easy and inexpensive to create, it can also bring you peace and joy as you connect to nature during the winter months. We can all use a little of that during the hectic race to the end of 2016. 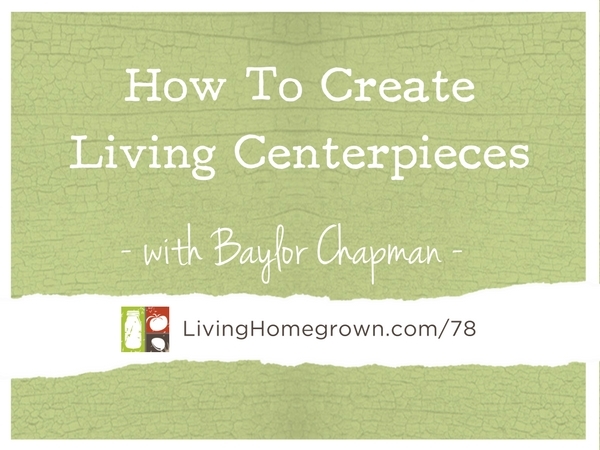 For this episode, I bring in naturescape expert, Baylor Chapman to share step-by-step how to create a lovely green centerpiece. And this centerpiece can be made now during the holidays or any other time of the year. Baylor has been designing with plants, from estate flowerbeds to intricate tabletop living centerpieces, professionally for over 15 years. Raised on a farm in the Midwest but now a city dweller, she is always thinking about ways to bring the beauty of nature into her home and yours. Baylor is the author of The Plant Recipe Book which features more than 100 lush photographs of her creations from her work as a floral and plant designer. 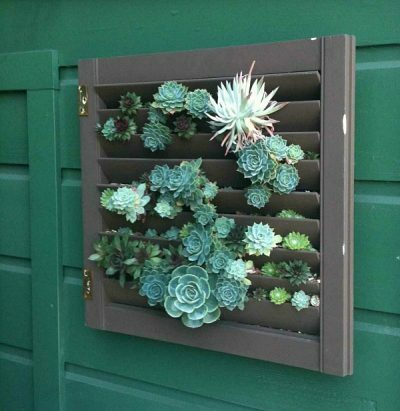 Her certified-green business, Lila B Design is a container garden design company founded in 2007. Baylor’s work has appeared in Sunset Magazine, Better Homes & Gardens magazine, PBS and HGTV. 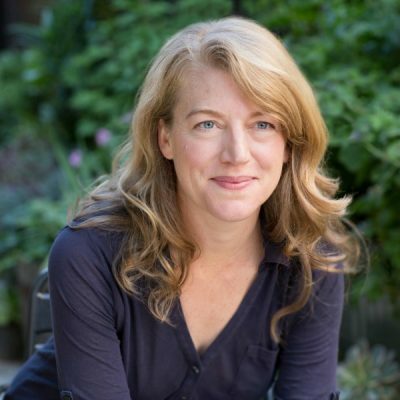 She speaks nationally on how to beautify the home with living centerpieces and can often be found gardening and creating in the San Francisco urban-industrial neighborhood where her growing grounds and studio reside. Sheet Moss – Hypnum moss is also known as “sheet moss” or carpet moss. You can find it at some nurseries or online. Here is one mail order source: Mountain Moss.